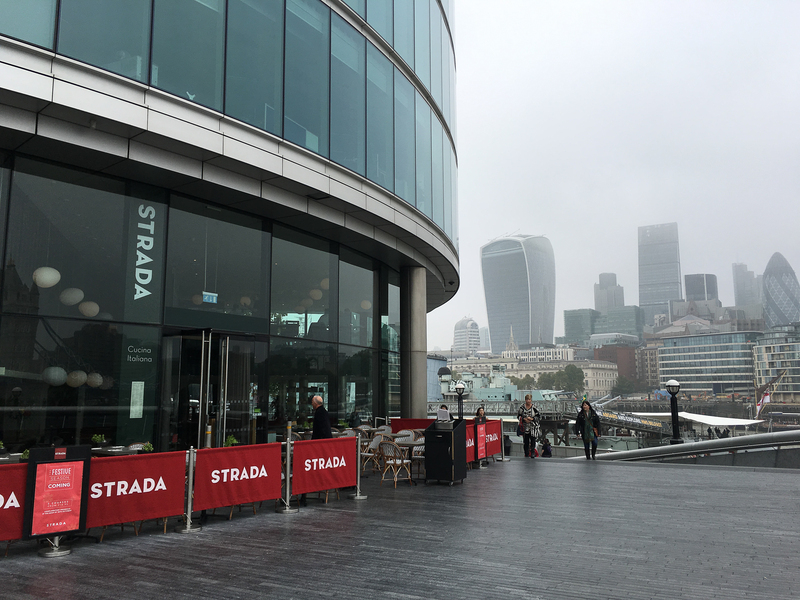 I mentioned we were invited to dine out at Strada Riverside at More London over the weekend. We all love spending a day in London so hopped on the tube, emerging into misty London at London Bridge station. We headed to the Thames and walked along the Thames path until we got to More London, this is a modern development around City Hall which encompasses office buildings, restaurants and public spaces. As we were a little early we made use of the open space, admiring the amazing panoramic view, whilst the children played in the water fountains. Then it was time for lunch. We were taken to our table which was on the upper floor and had the most amazing view (table 206 in case you want to book it!). Our waitress Camilla was lovely and gave the children menus, colouring pencils and stickers to keep them occupied whilst we browsed the menu. We all love Italian food so the children were happy with their food options. The children’s menu has recently been re-designed with the help of kid judges and you can see their ‘stamp of approval’ (their little signatures) displayed on every Strada kids menu. Aimed at the under 12s’ the menu includes a starter, main course, dessert and drink all for the affordable price of £6.50. My two opted for the Garlic Flatbread, Rigatoni Pomodoro followed by Ice Cream but the menu offered grown up options too, such as a Seasonal Vegetable Risotto and Chargrilled Chicken. I thought the menu was extensive and it took me a while to choose as everything sounded delicious! 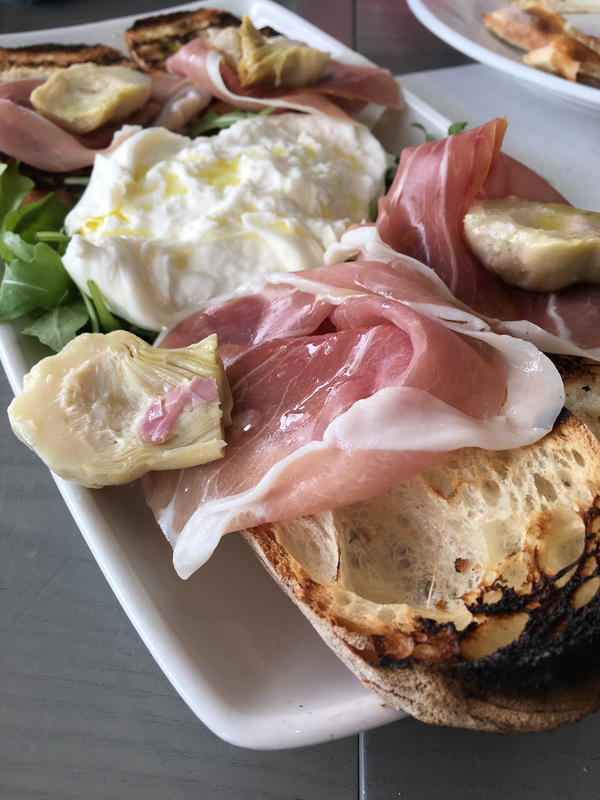 My husband and I opted to share a Burrata & Prosciutto starter with buffalo mozzarella, prosciutto, rocket and artichoke. It was amazing. The food was really lovely, beautifully presented and full of flavour. It was difficult to know where to look, at the food or the amazing view. Over lunch the mist cleared so we could fully appreciate the view from HMS Belfast to the Tower of London, Tower Bridge and City Hall. 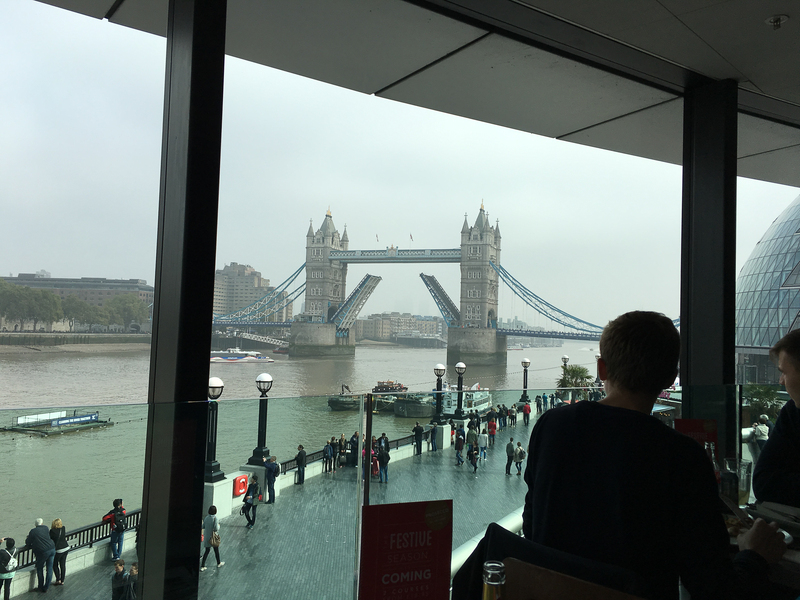 The restaurant has been designed to make full use of the view and we weren’t the only ones taking sneaky pics of the view. We even got to see Tower Bridge opening to let a tall ship sail through. I’m not quite sure how I had room after my Salmon and Lentils for this Chocolate Fondant but I squeezed it in somehow. Before we knew it our beautiful meal was over and we left with very full tummies. The menu at Strada has some wonderful Italian dishes so we’ll definitely be back to sample more. There are a couple of Strada restaurants in London but I think Strada Riverside will always be our favourite. The service was also great and I really appreciated that the staff talked to our children as I find they often get overlooked when we’re eating out. 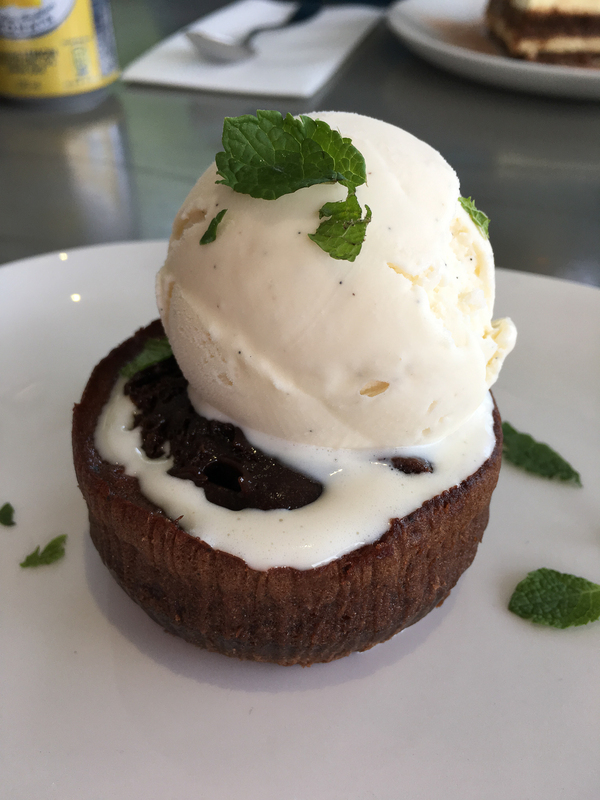 To find out more about Strada’s menu or book a table take a look at their website. 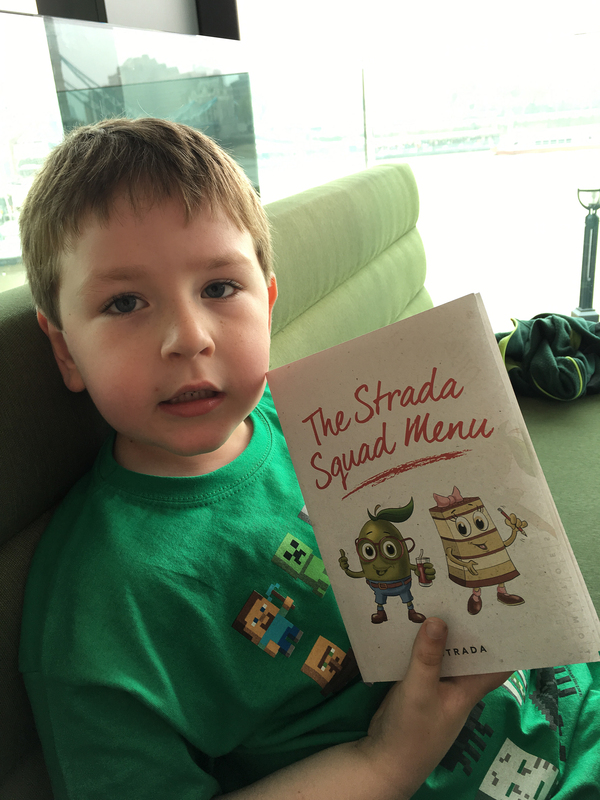 I don’t think I’ve ever been to a Strada restaurant but it looks lovely – food all looks fresh and delicious and I wouldn’t think twice about taking my children there. Plus I bet it’s one of the best value places in London with that spectacular view! That is a really reasonable price for a children’s meal, especially for London. This restaurant looks amazing! The food especially the dessert looks so yummy. What an amazing view! I can’t remember the last time we visited a Strada restaurant. That food looks to die for! I’m heading to London in a few weeks and we hadn’t decided on a meal venue, so this looks like it might win! Strada does some great food, I love Italian! This restaurant has a wonderful view too! Wow… My mouth is watering. The food looks amazing and the views… Stunning! wow that is an amazing view – I will definitely have to visit when I’m next in town. Not only did you have a breathtaking view but you also had delicious food to match. It is good that your children were catered to as well!